Please welcome Maude and Figgy the Iggy! These beautiful girls came to rescue on Mother's Day weekend. They are mother and daughter, which in Italian is Madre and Figlia- thus Maude and Figgy. They didn’t have the greatest start in life and lost their home because their owner could no longer care for them after the arrival of a new baby. Maude is 8 years old, and is loving and very affectionate. Figgy is 6 years old, and is a bit slower to warm up, but with a little patience and a treat, she will be either in your lap or curled up next to Maude. 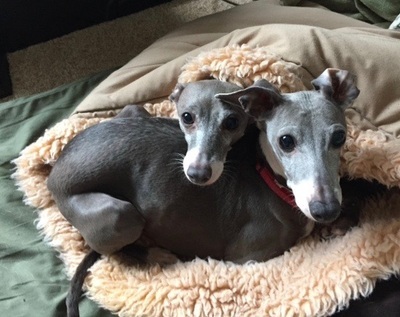 Maude and Figgy have always lived together and they are looking for a home for two. 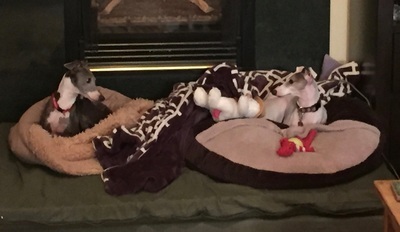 Their foster mom tells us that the girls are very quiet, easy going and would do well in an apartment or house. 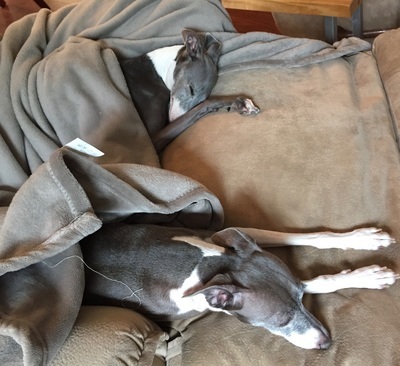 With regular outdoor breaks (and treats) the girls are doing well with their housetraining. Figgy has some health issues and is on special food diet. The girls are microchipped, up to date on vaccinations, and just had dentals. After just two weeks in a stable, loving environment they have become sweet and loyal companions. 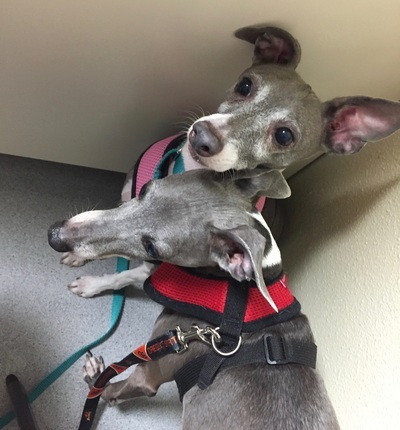 Is your house going to be their forever home where you get double the love? 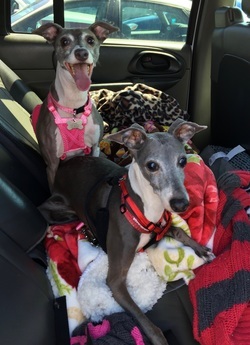 Maude & Figgy are being fostered in the Portland, OR area. 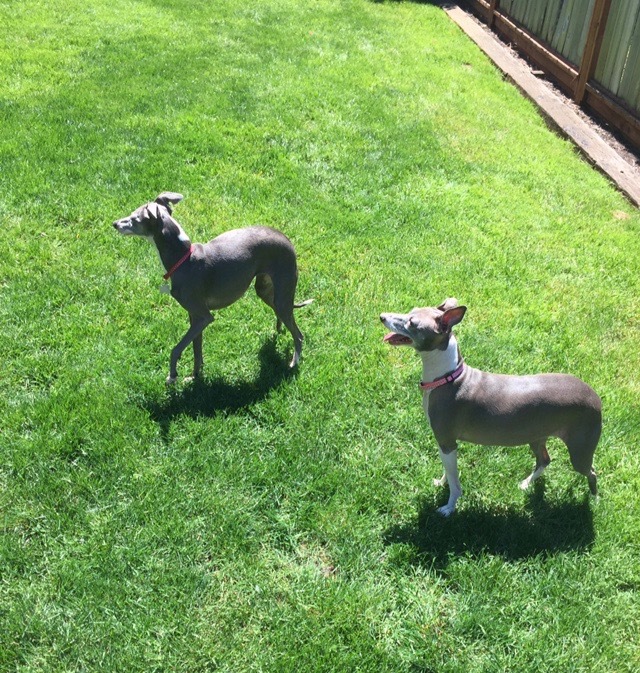 Washington/Oregon residents who want to begin the process to adopt an IGCA Rescue dog, please email us at igrfadopt@gmail.com to learn about the IGCA adoption process and receive an application, which may also be downloaded here: Download IGRF Rescue Application . 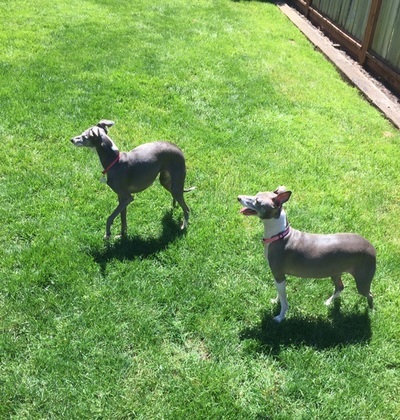 We are always willing to consider placing a dog out of state, but applicants are asked to apply to and work with us through their local IGCA Rep.